Cyberchimps has just announced that their theme Responsive Mobile (aka Responsive II) has been finally approved and is available for download at the WordPress Theme Directory. According to Cyberchimps, it took a couple months to get there, but Responsive Mobile (Responsive II) has finally been reviewed and approved by the admins at WordPress.org. Responsive was a free theme originally designed by Emil Uzelac of ThemeID, back in 2012, and it has always been one of our Top WordPress Themes since it´s used by many sites. Responsive became very popular in a short time, so when Cyberchimps acquired ThemeID and the Responsive theme on February 26, 2013, Responsive had already reached 500,000 downloads. Soon after it was released on WordPress.com and the Responsive Pro version was introduced, and then came the new Responsive II version. 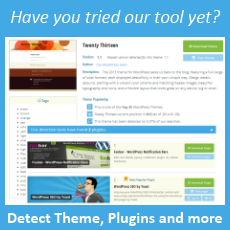 The same settings, widgets and page templates as the original Responsive. 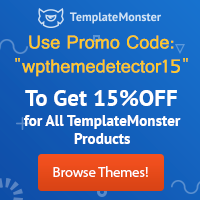 To celebrate the approval of Responsive Mobile (Responsive II) for the WordPress Themes Directory, Cyberchimps is offering until December 31st, 2014 a special discount code on the Pro Features plugin. 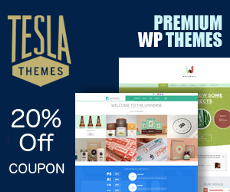 Simply enter coupon code: “approved” prior to check out and get your copy of the Pro Features Plugin for only $14.99. I like this Theme. @Sachin are you sure this is a free theme? It’s a good WordPress template with responsive mobile feature. I love this template. I am a big fan of CyberChimps and happy with the Responsive feature. Thanks for this discount coupon. I am about to change the theme, will have a look at cyberchimps for sure. They should have a blogger and tumblr version too. Looks like a great theme. Any discount available? Informative post. I will definitely suggest to my clients when any of them decide to change the website themes. Liked the theme, but it’s 2016 now. Need something unique. 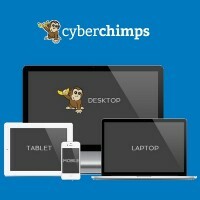 Cyberchimps is excellent website especially for bloggers. It fully optimized, responsive and user-friendly. Making responsive theme is necessary these days. Number of mobile users are increasing day by day and people started doing everything on mobile and they want to execute every small task on smartphone rather than PC. BUt why to go with premium if we can customize it. I am maggie sawyer associated with Markuphq. I found your blog by google and i got good information about responsive wordpress theme. I will suggest Cyberchimps to my clients. This is a very useful post for me and it helps me a lot. I feel fervently about this and I like learning about this subject. I am a great fan of Cyberchimps. Cyberchimps is one of the best. They are doing a great job really admire their hard work and help for the community.